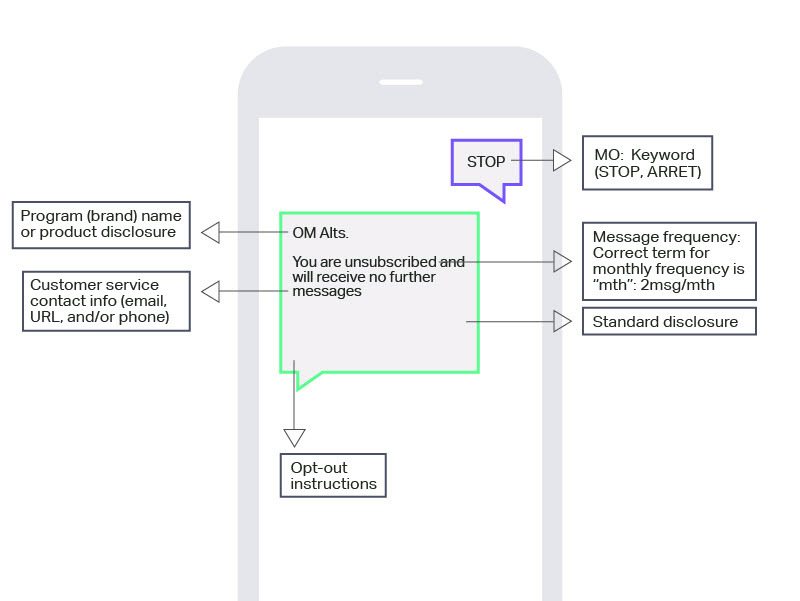 Any business running an SMS messaging program in the US or Canada must comply with certain industry guidelines and mobile operator policies. However, it can be challenging to stay compliant with guidelines and policies that are continually evolving. This page provides graphical descriptions of the most commonly used types of messages, such as opt-in, help, stop, and error messages. 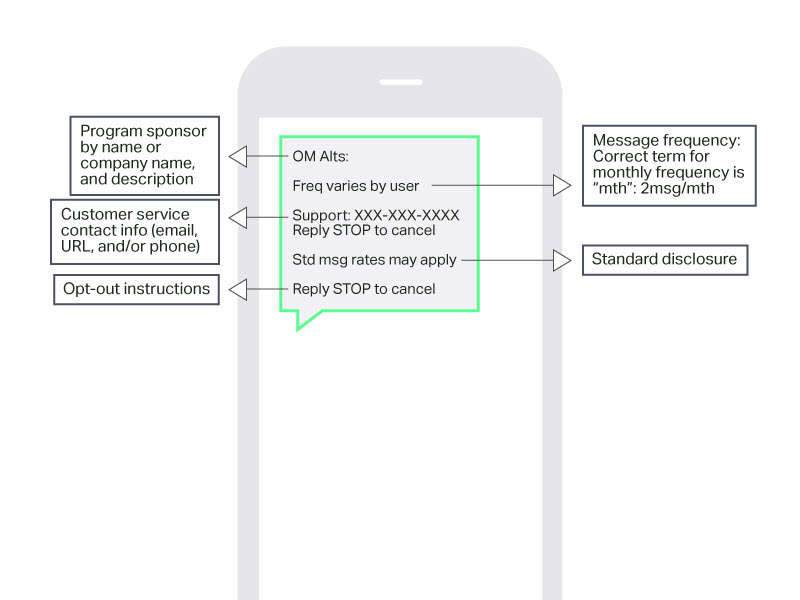 Specifically, the graphical descriptions here show the wording you must use in mobile messages and on web pages for SMS messaging programs. The information here reflects current CTIA and carrier compliance requirements, and the CWTA Application Guidelines and Carrier Acceptance Test Plan requirements. 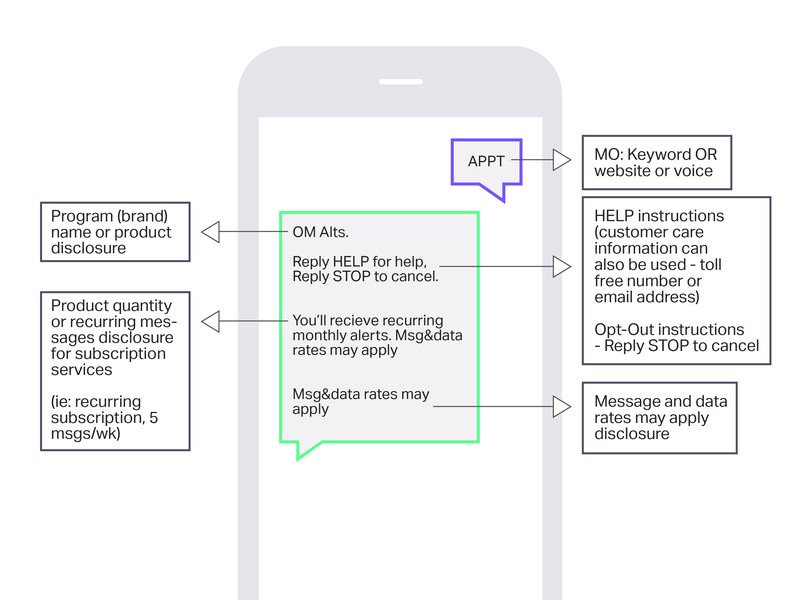 For more details about messaging requirements, refer to the Mobile Marketing Association's US Consumer Best Practices for Messaging. 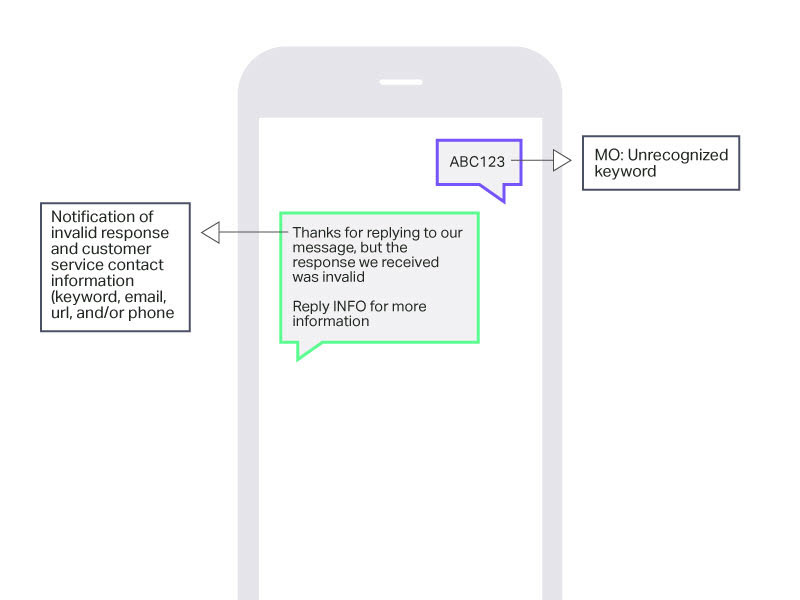 This section explains the content that's required in text messages and on web pages for US end users. The information here reflects current CTIA and carrier compliance requirements. Legacy double opt-in methods (a.k.a. 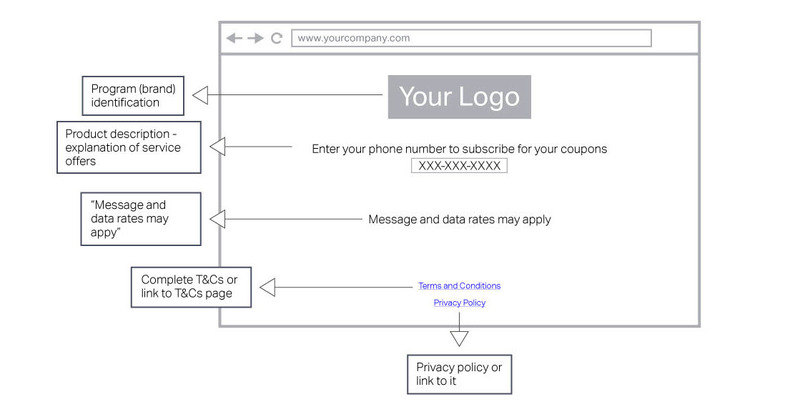 mobile device confirmation) remain acceptable for obtaining express written user consent. 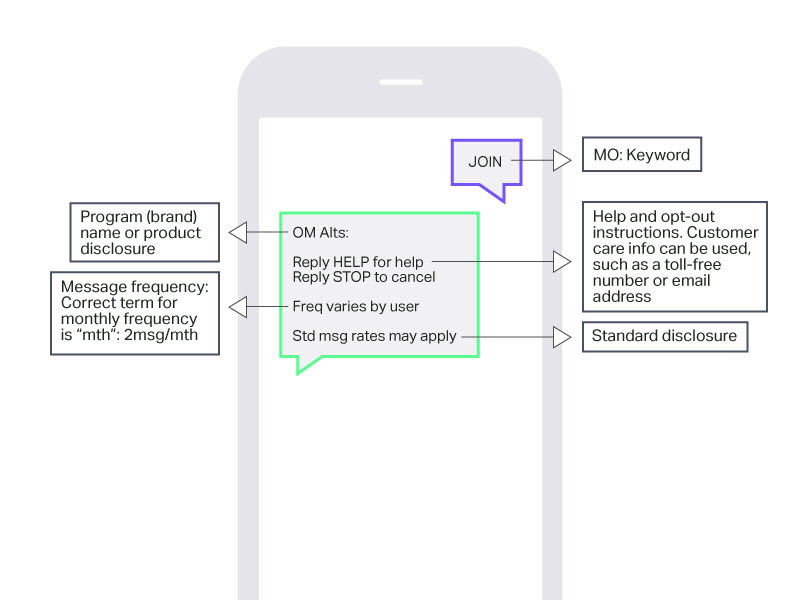 Short code programs should promote customer care contact instructions and opt-out instructions at program opt-in and at regular intervals in content or services messages. This content should be provided at least once per month. Help Menus are no longer required. 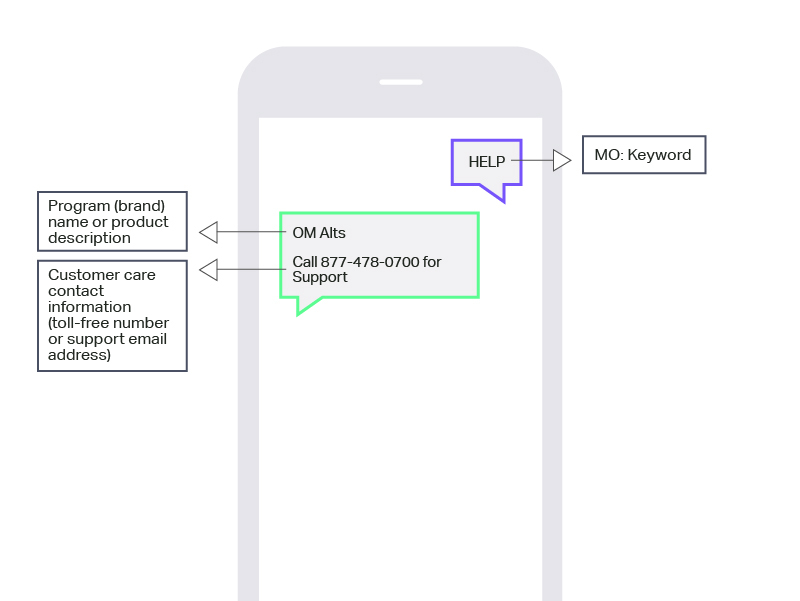 If a user is opted into two services on one short code, a standard HELP MT is required and should include the correct product or program name that matches both programs. 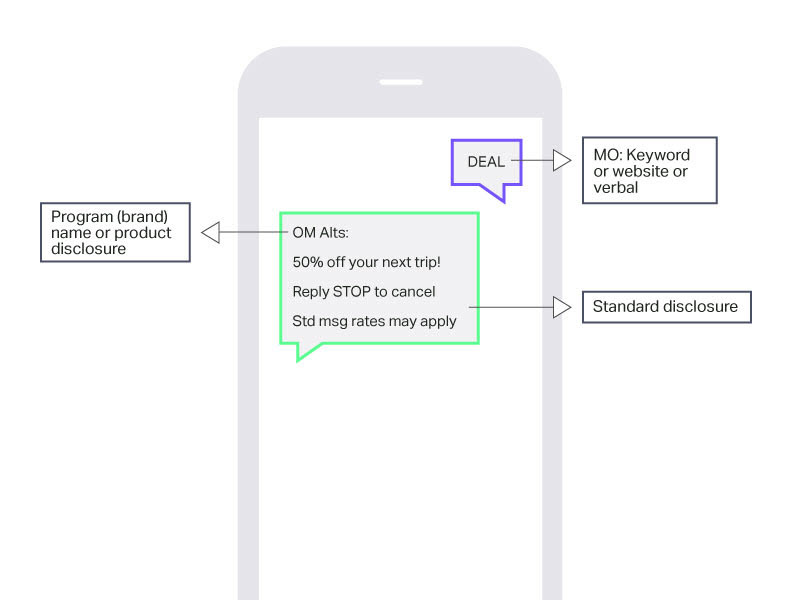 "Reply STOP to cancel" is no longer required in all content MTs. 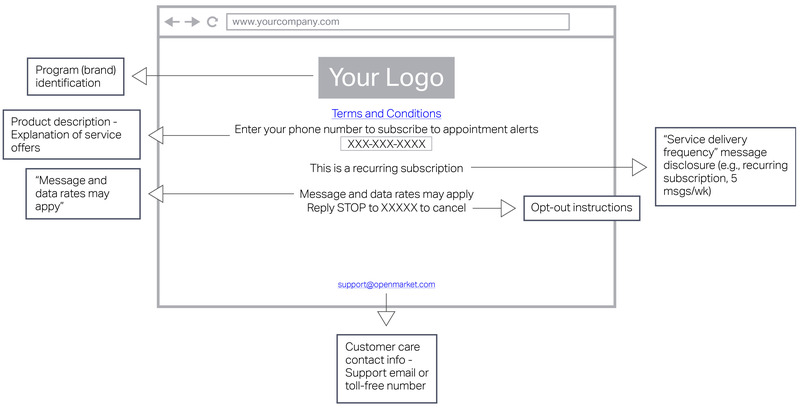 This section explains the content that's required in text messages and on web pages for Canadian end users. The information here reflects current CWTA Application Guidelines and Carrier Acceptance Test Plan requirements. The requirements noted here apply to both traditional and nontraditional recurring messages. 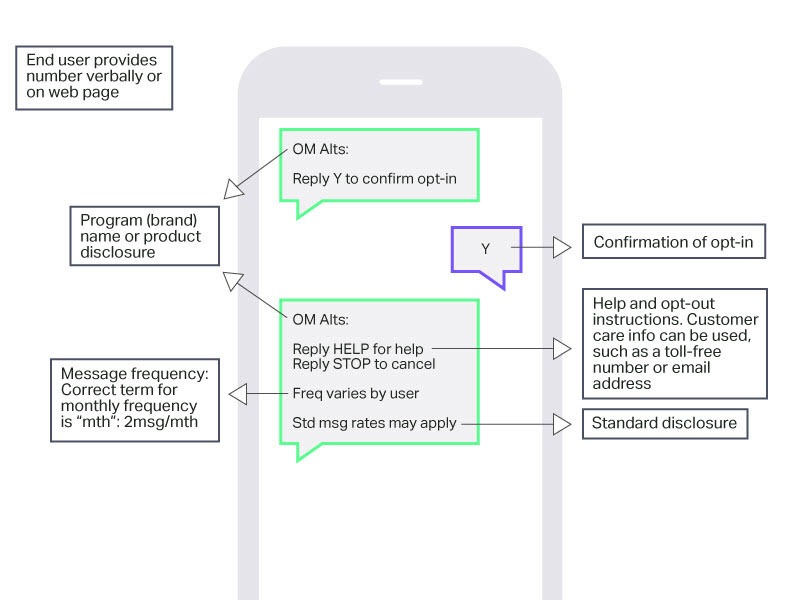 For nontraditional messages such as flight notifications and appointment reminders, the end user might receive more than one MT even though the service does not recur monthly. 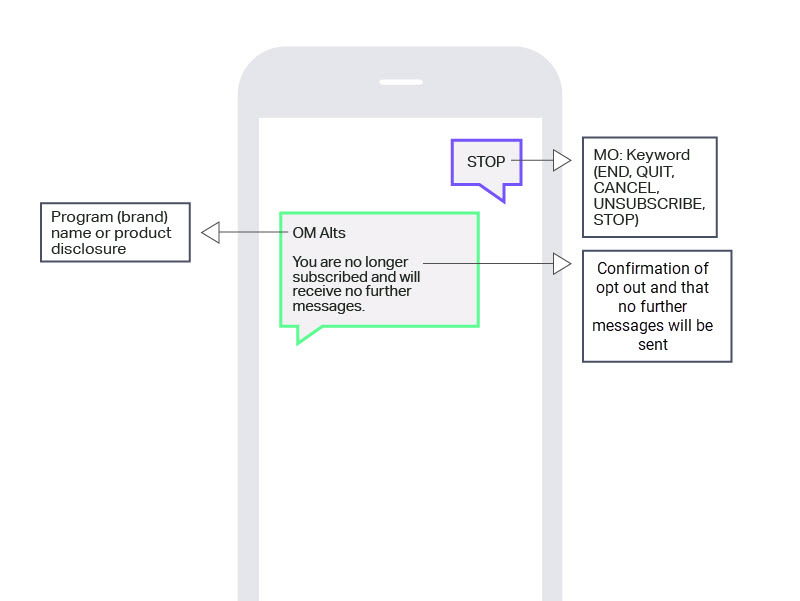 In any SMS messaging program, you must use certain keywords to enable end users to get help, stop messages from being sent, or opt out of a program. 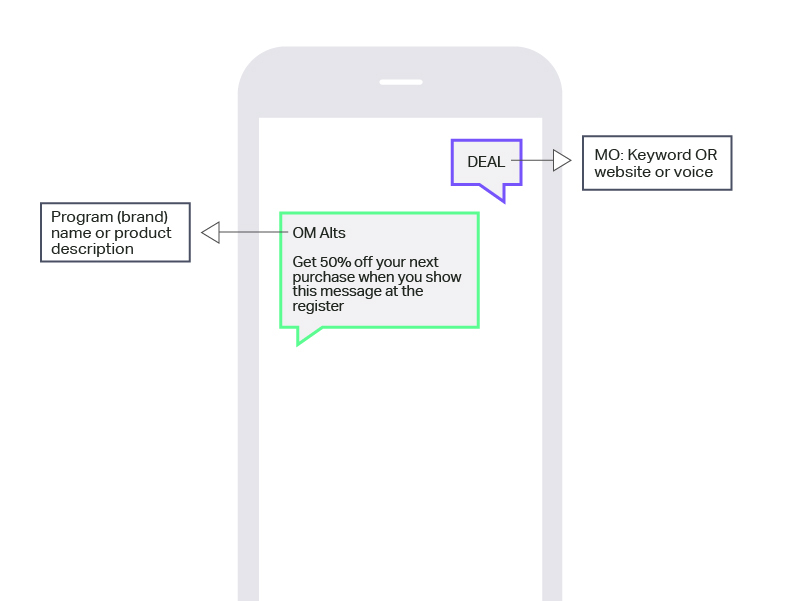 These keywords must appear in all capital letters so that they're highly visible to the end user, and in Canada they must be available in both English and French unless the program is promoted solely in one language. In that case it's acceptable to use the keywords in only that one language. For non-subscription programs, the STOP/ARRET MT is required to include that the "service is not a subscription". 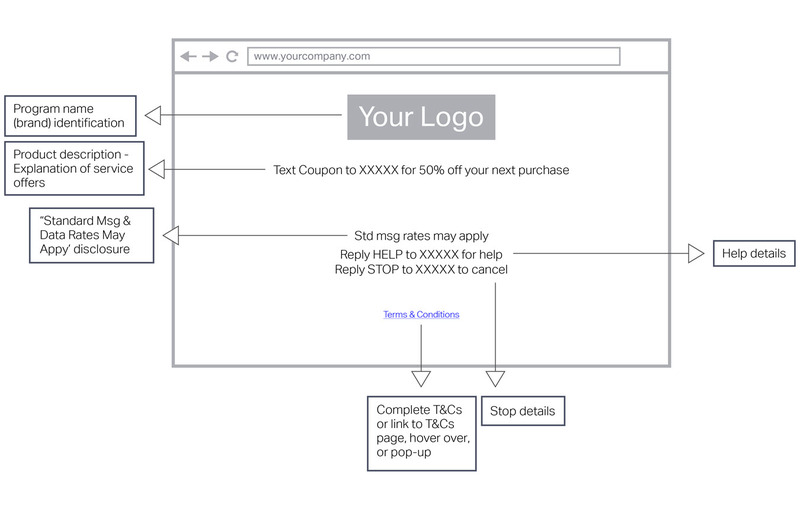 When you want end users to opt in to a program from a web page, your content must include a clear call to action, and you must enable the end user to initiate opt-in from the web page.